Laid down, 29 October 1942, at Philadelphia Navy Yard, PA.
Decommissioned, 22 May 1945, for conversion to Landing Craft Repair Ship Feronia (ARL-45) at New York Navy Yard, Brooklyn, N.Y. 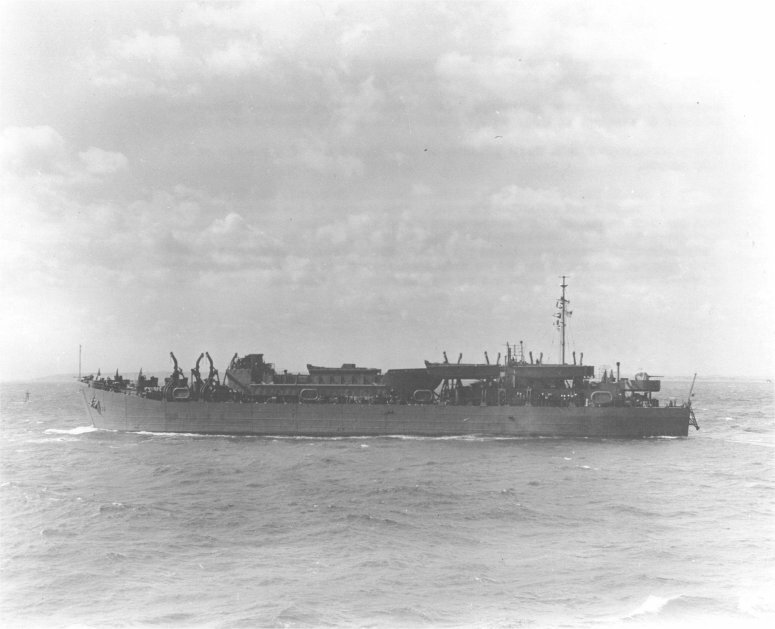 Final Disposition, sold for conversion to merchant service, 17 October 1946, to Suwannee Steamship Co., Charleston, S.C.
57k USS LST-332 with an LCT loaded on her main deck, July1943. Wes Stone, Lusby, MD. -"In memory of the men of the USNATB, Solomons, MD." 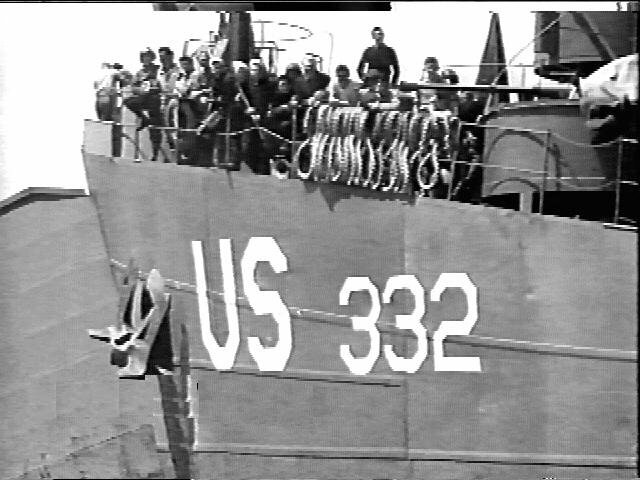 69k USS LST-332 at Normandy, date unknown. 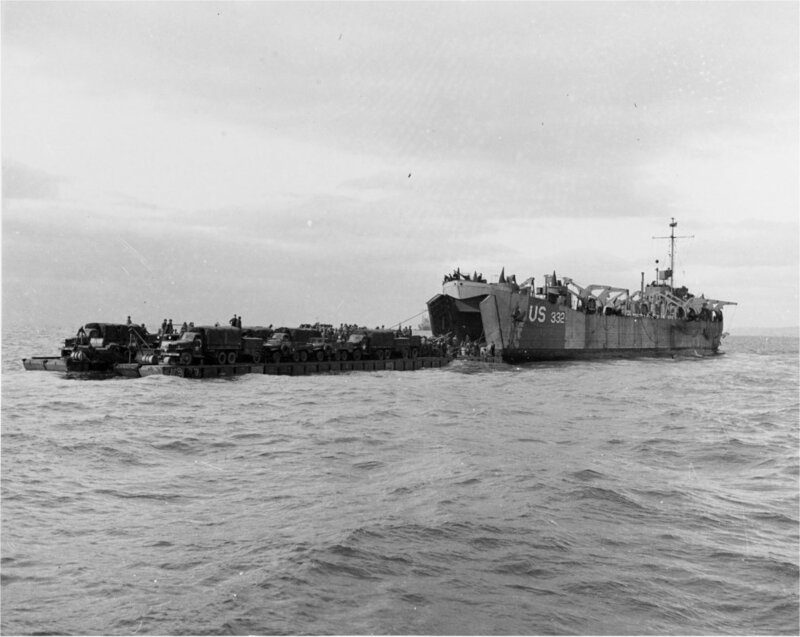 1131k USS LST-332 and USS LST-209 loading army vehicles on the south coast of England, 10 April 1945, bound for European ports. 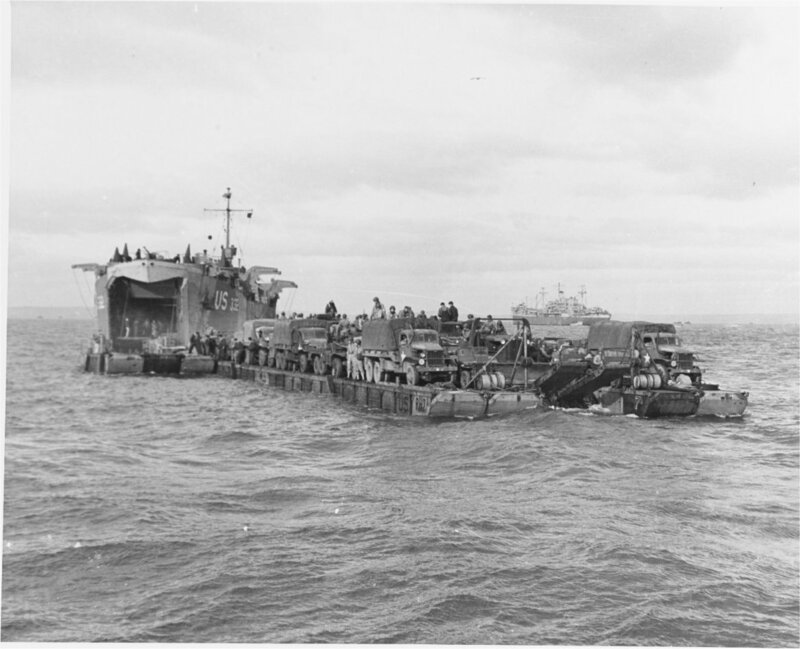 157k USS LST-332 offloading army vehicles to a "Rhino" ferry (RHF) during North European invasion landing practice rehearsals off Slapton Sands, England, 1943-44. 157k A "Rhino" ferry (RHF) linked up with USS LST-332, with a full cargo of invasion vehicles. 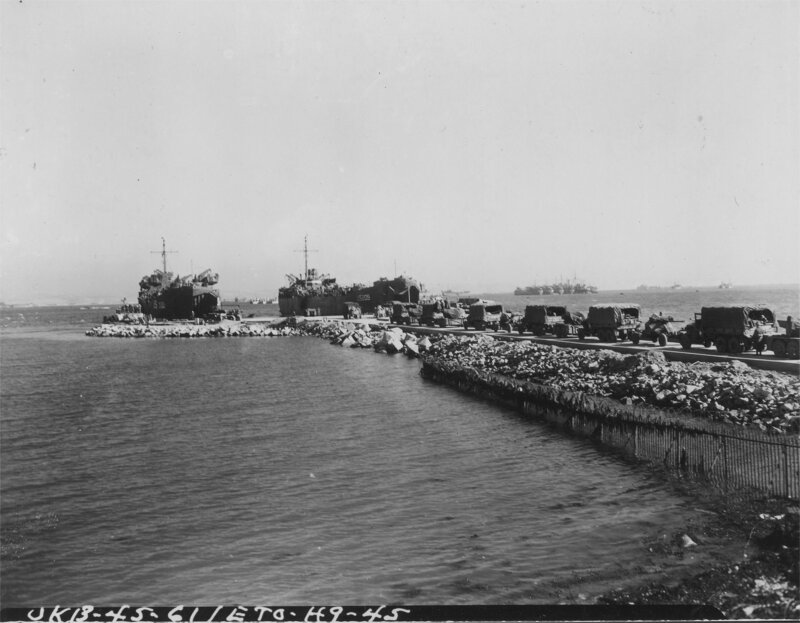 Photo released on 6 June 1944, at the time of the Normandy Invasion, in which "Rhinos" and LST-332 took part. It was probably taken during pre-invasion preparation period.